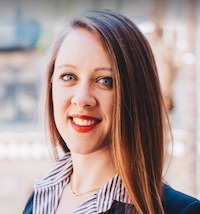 Connect one-on-one with professional appraisers from Bonhams Auction House for an appraisal of the estimated value of your art, antiques, heirlooms, or collectibles! 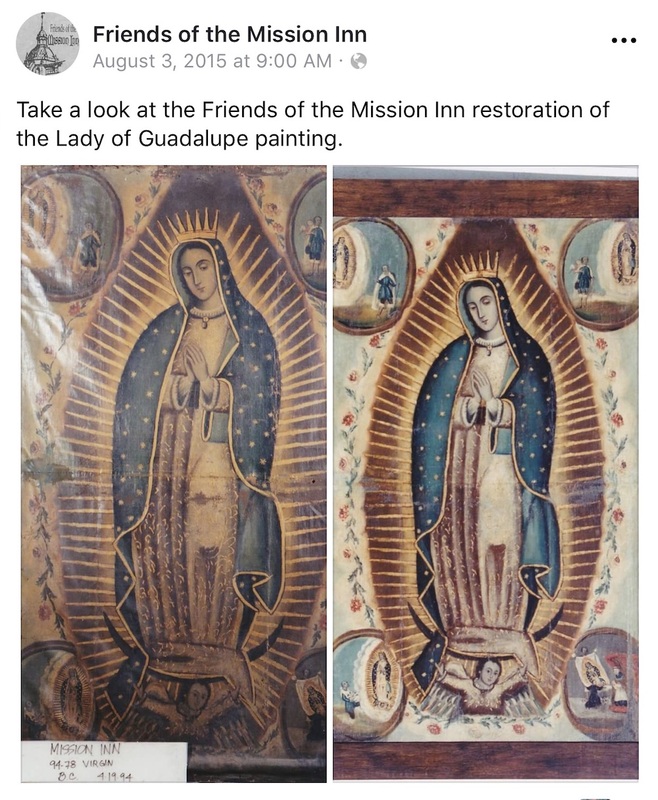 All proceeds will support the Mission Inn Museum’s conservation efforts and collections care. Please select a time block from the ticket options below. All appraisals will happen at The Box, 3635 Market Street, Riverside, CA 92501. Please park in Garage 7 on Level 2 (Prices and map available here) then walk across courtyard to the Box Theater entrance. Parking is not included in event ticket. SOME OF THE MONEY RAISED DURING THE WEEKEND WILL BE TARGETED FOR THE PRESERVATION AND ART RESTORATION OF AN HISTORIC WOODEN CHINESE PAGODA – YOUR SUPPORT IS THE KEY! 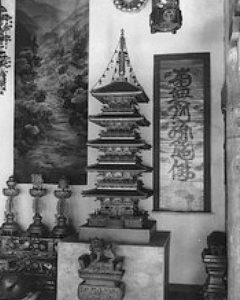 Your support is crucial to achieve our goal of conserving and restoring the Museum’s Chinese Pagoda (above, in undated archival photograph), a Landmark Object in the collection. This delicate wooden sculpture represents the long history of goodwill between the Mission Inn, Riverside, and Asian nations. Help us restore this national treasure by allowing us to help you Save Your Stuff! Adopted by the Mission Inn Foundation Board of Trustees, June 28, 2008. The Mission Inn Foundation preserves, interprets, and promotes the cultural heritage of the Mission Inn, Riverside, and the surrounding southern California communities through its museum services, educational programs, and outreach activities. The Mission Inn Foundation was incorporated in 1976 to assist in the preservation and restoration of the Mission Inn, and originally, to manage the hotel during ownership by the City of Riverside’s Redevelopment Agency. 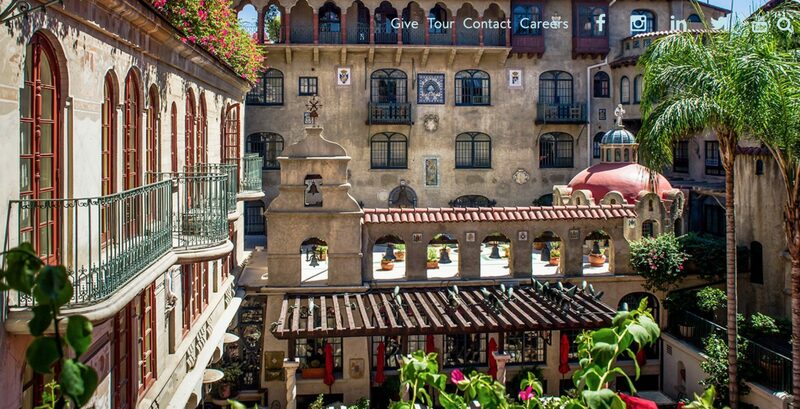 The Mission Inn Hotel & Spa is now privately owned by Duane and Kelly Roberts, and the Foundation has a unique role of operating a non-profit museum within a for-profit hotel. The Mission Inn Museum, operated by the Mission Inn Foundation, was opened in 1993, simultaneous with the reopening of the Mission Inn after seven years of extensive renovations. In addition to the museum, the Mission Inn Foundation interprets the history and significance of the Mission Inn through daily hotel tours, monthly public programs and special events, the Hands On History educational initiative, and the continued stewardship of the hotel’s expansive art, artifact, and archival collections. Fearful that the hotel would be permanently shuttered and its interior collections destroyed, in 1969 a group of concerned citizens formed the Friends of the Mission Inn, a volunteer organization dedicated to promoting hotel business and safeguarding the historic collections. As the hotel’s financial woes persisted, the City of Riverside’s Redevelopment Agency purchased the Mission Inn in 1976. In 1977, thanks to the efforts of local advocates and government officials, the Mission Inn was designated a National Historic Landmark by the federal government, officially marking the Inn as a site of national historic importance. After keeping the hotel afloat for nearly nine years, the city sold the hotel to a Wisconsin-based private development firm, which closed the Inn in June 1985 to begin what would become a seven-year $50 million renovation project. With restorations nearly complete in December 1988, the hotel was once again plagued by bankruptcy and languished for three years without a buyer. 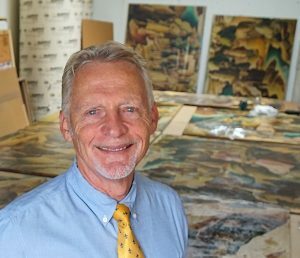 In late 1992, local Riverside entrepreneur Duane Roberts purchased the Mission Inn and successfully reopened the landmark hotel for business. 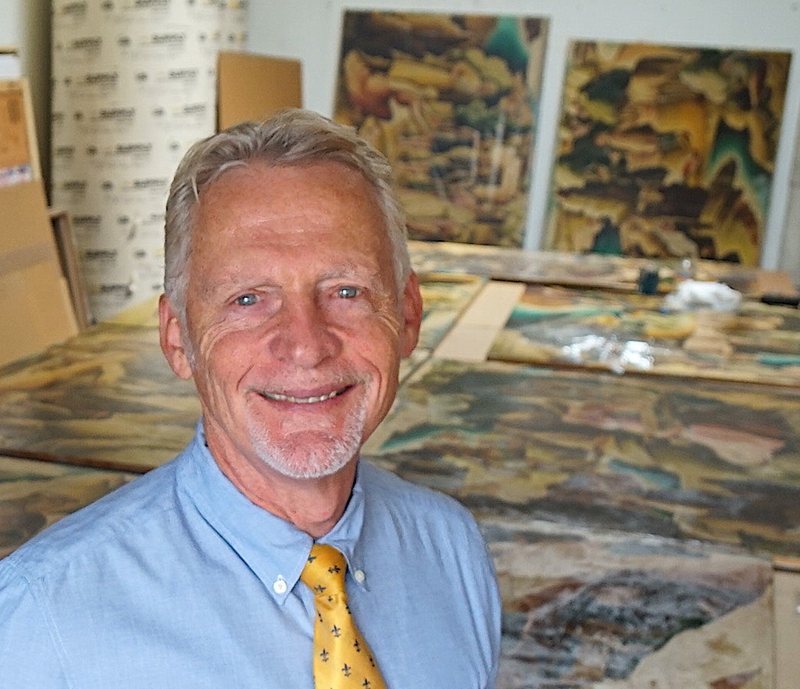 It was Mr. Roberts that contracted with Scott M. Haskins and Fine Art Conservation Laboratories to undertake the preservation and art restoration of the 100s of items in the Mission Inn historic art collection. This entry was posted in Consulation, FACL in the media, Professional activities and tagged Consultation on Art Related Matters. Bookmark the permalink. Best wishes to all at the Mission Inn and blessing for your efforts!!! ITS A GREAT CAUSE.